The Denver Broncos signed Jamaal Charles this offseason in hopes of bolstering their run game, which has struggled to take off with C.J. Anderson. For the first time since 2010, the Broncos missed the postseason last year with a 9-7 record. Much of the blame centered around the offense, which ranked 27th in total yardage. Part of the issue was running back C.J. Anderson missing nine games with a knee injury. Anderson, 26, was signed to a four-year deal worth $18 million before the 2016 season, with general manager John Elway matching an offer sheet from the Miami Dolphins. Since then, Anderson has rushed for just 1,157 yards while splitting time with Ronnie Hillman and Devontae Booker over that span. On the Stacking The Box podcast, NFL insider Benjamin Allbright revealed that the Broncos are unhappy with Anderson, potentially readying to move on. Anderson can be released without a cap penalty following this year. While Charles will become a free agent as well, Booker is still in house. 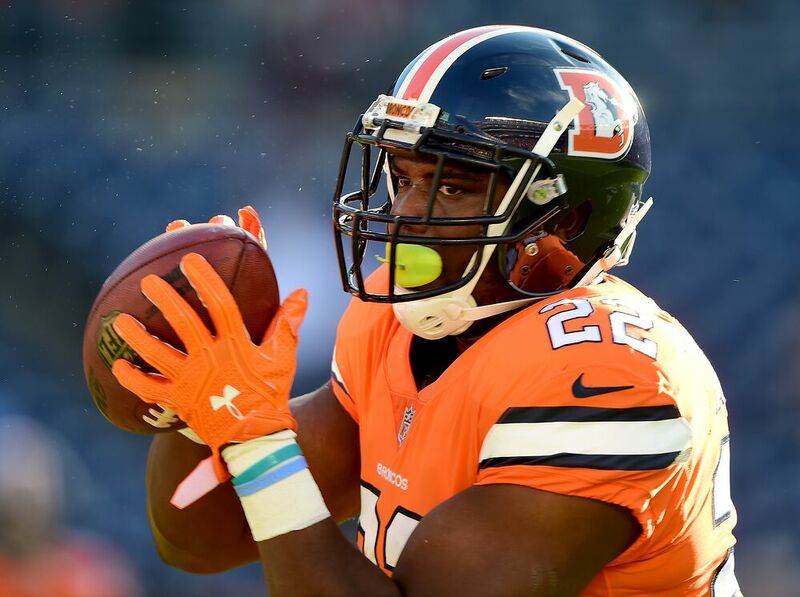 Denver could add some more youth to the depth chart come 2018 or bring in another veteran back, perhaps retaining Charles if the former All-Pro regains his old form. As a rookie out of the University of California, Anderson was a reserve before earning a share of the starting role in 2014. He was the main ball-carrier in 2015, helping the Broncos to their third Super Bowl title. However, Anderson has consistently struggled with staying in shape. He’s listed at 5-foot-8 and 224 pounds, likely a bit heavier than Vance Joseph and the coaching staff would like to see.